are primarily used in acute out-of-hospital care situations by emergency medical services(EMS), military, and search and rescuepersonnel. 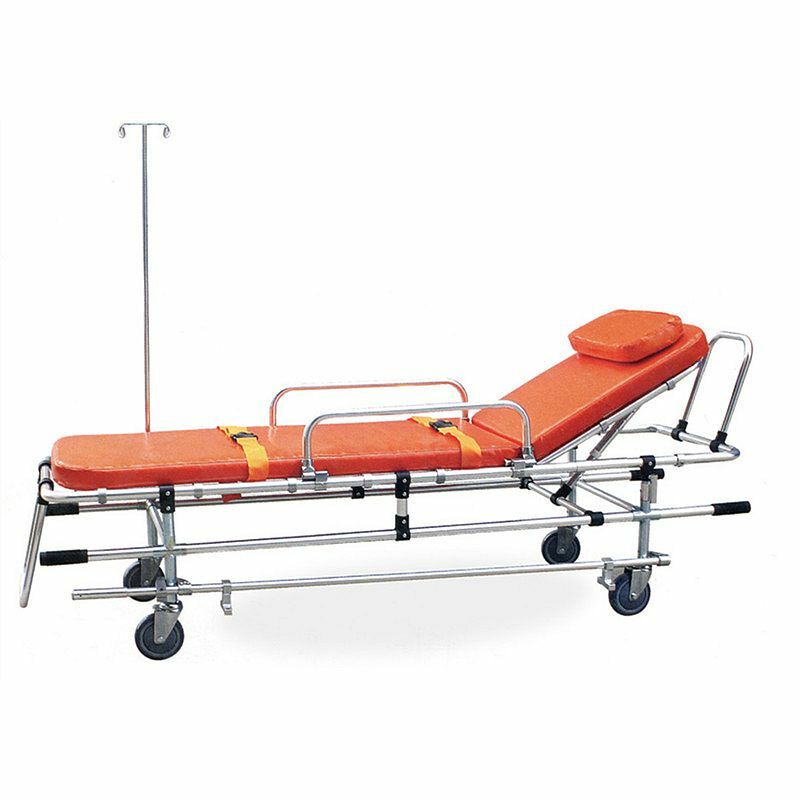 1.The bed surface of the stretcher is made of foamed cushion, the backrest is adjustable, which makes the wounded feel comfortable. 2.The machine employs low frame structure, so it can move on the ground and also can be lifted as a stretcher. 3.The both ends of the stretcher have opening circles which are used for transporting the patients. 4.It is made of high-strength aluminum alloy materials. It's mainly used for hospitals, sports, ambulance and city roads carrying patients and wounded personnel. 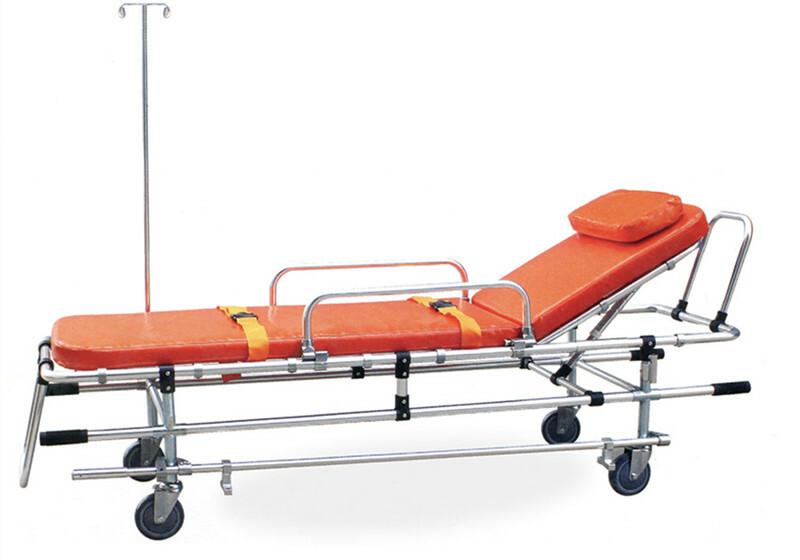 5.The stretcher is suitable for the ambulances which the wheel height is less than 32cm.